Matt and the Demolition Ranch guys seek to find out what does more damage downrange, a faster/lighter bullet, or a heavier/slower one. 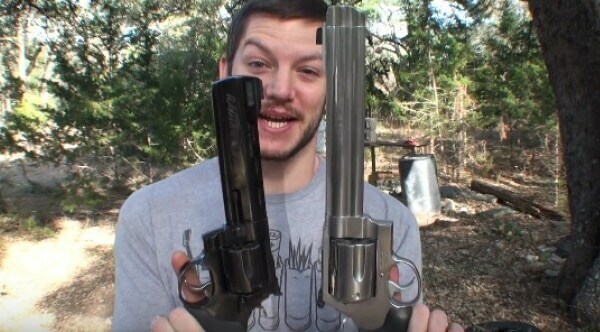 And to do this, he breaks out a leviathan 700-grain bullet for the .500S&W Magnum which clocks at about 1,200 feet per second to contrast against the 350-grain pipsqueak which books at over 1,900. The 700-grain looks like it could bend time.